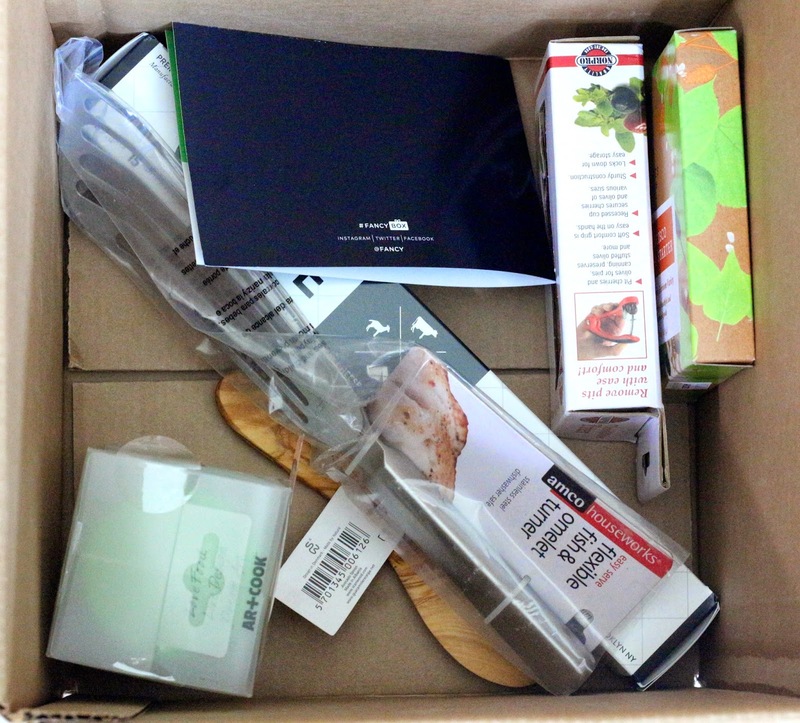 My May Tyler Florence Fancy Box arrived! I don't know if I could ever avoid spoilers for this box, because it pretty much always take a week to get to me. I originally decided to get this box as a good way to collect some kitchen necessities, and I think it's paying off! This box is shipped via FedEx and this one took 7 days to arrive, from Massachusetts to California. 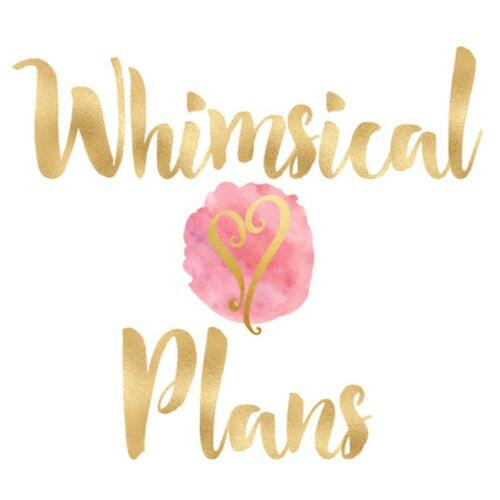 I just don't understand why Fancy is still charging a ridiculous amount for shipping on top of their fairly expensive box price when my box still takes a week to arrive, and it comes in a box that's usually too big for the stuff inside. 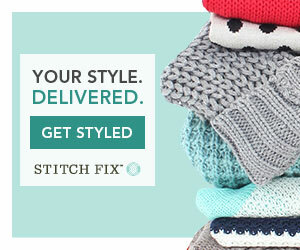 I do appreciate that it arrives to the door instead of in my mailbox though. I was trying to go spoiler free on this box but then saw the contents on my Instagram feed...whoops! So first look, I knew what was in here but it was so light! Seriously Fancy, smaller boxes! They can still be square and fit everything, but smaller! Info card for this box with more mistakes on it. 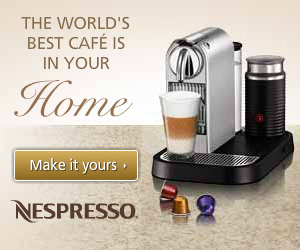 It's like these don't get proof-read before they are printed. The info for the pitter talks about a citrus reamer...just have someone read it before you print them all out! 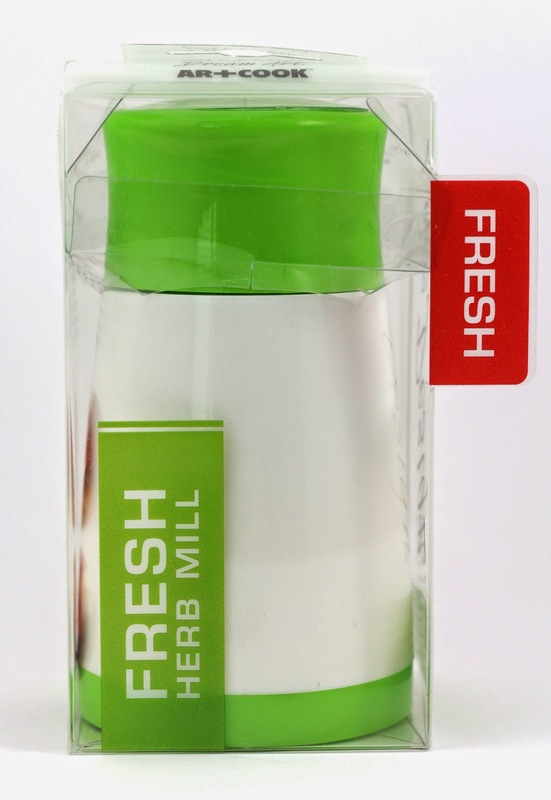 Art and Cook Herb Mill - ($20) This will be great to grind up a bunch of herbs when I'm cooking. Chopping a big bunch of them takes a while, and this will definitely speed up the process. 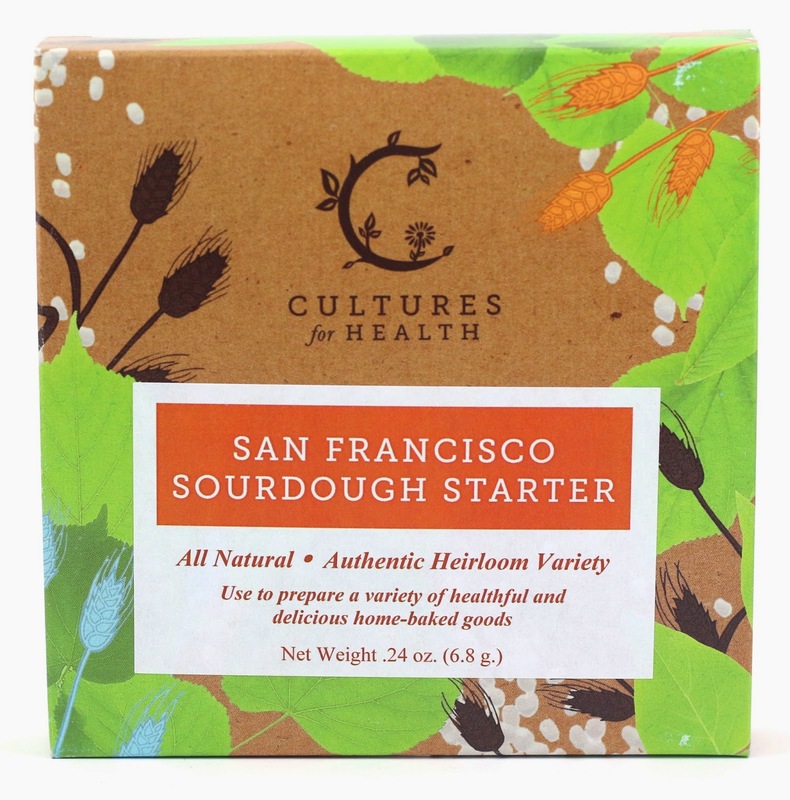 San Francisco Sourdough Starter - ($13) Oooh I love sourdough bread so I can't wait to try this! I'll have to follow the directions really carefully so I don't mess up the bread! 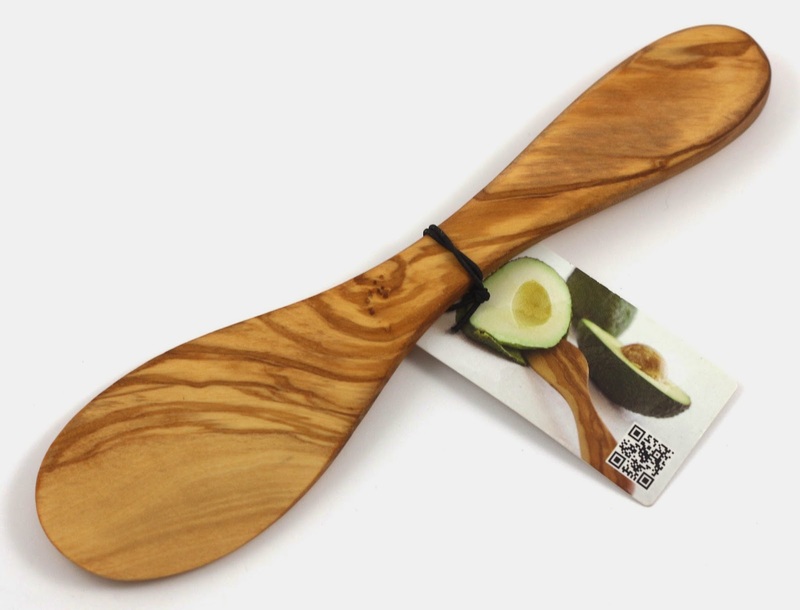 Scanwood Avocado Spoon - ($10) ...I've been scooping avocados out for years now with a regular spoon. Why do I need a special spoon for this? Maybe it works well for mashing them for guacamole or avocado toast. I'll have to find some other uses for this, my inner multi-tasker is saying there is no way I need a special spoon for just avocados. Formaticum Cheese Storage Paper - ($9) I almost bought this once! I heard about it years ago as being the best thing to store cheese in. I'm so glad I didn't buy it, because now I have some! 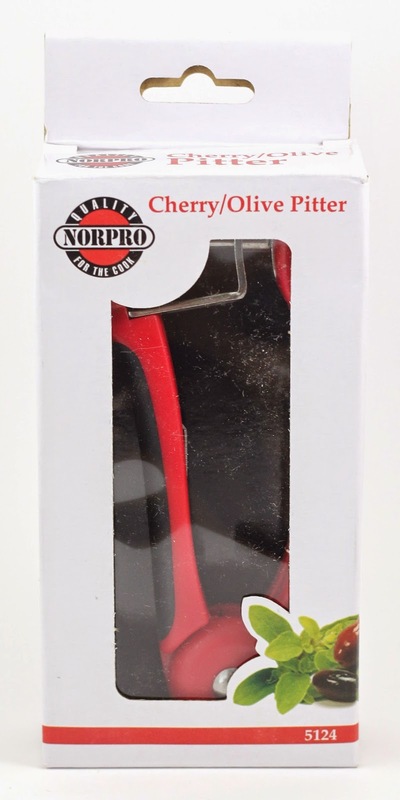 Cherry & Olive Pitter - ($15) I don't find myself needing to pit olives or cherries very often, but I know I'll go buy a tub of fancy olives with a pit or a bunch of cherries and totally get some use out of this. Fish Turner - ($12) I've actually been wanting one of these, I know it can also be used for bacon, or frying so this will be nice to have. Now if I can just get B to eat more fish with me...that might be tougher! 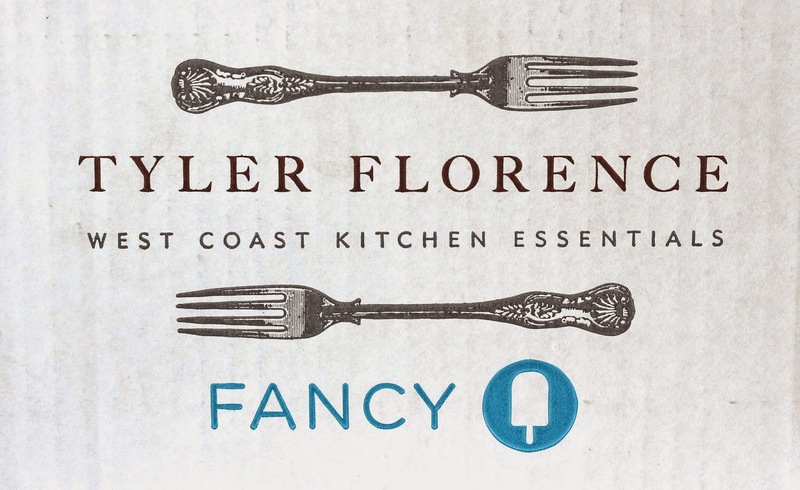 Overall, this Tyler Florence Fancy Box had a total value of $79 which pretty good considering the $39 price tag plus $7.95 shipping, but they promise an $80+ value and my inner math geek is saying $79 is not $80. I do love that there are so many kitchen essentials in this box, but I do wish there was more of a theme, and maybe a snack or two occasionally! 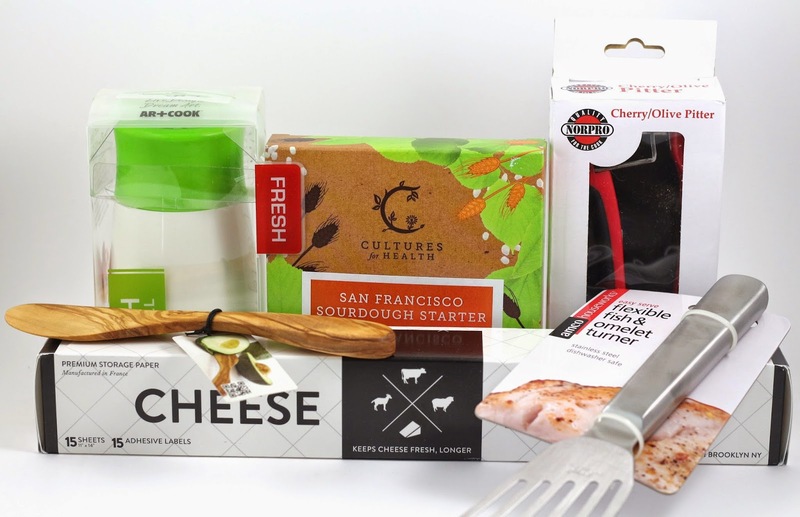 It is interesting that a box of "west coast essentials" ships from Massachusetts. 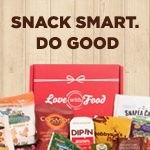 I haven't heard of this box before but it looks like one I would really enjoy. Yeah so far I've been really liking it!